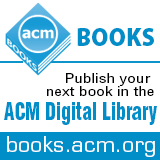 Welcome to the February 12, 2016 edition of ACM TechNews, providing timely information for IT professionals three times a week. Please note: In observance of the Presidents' Day holiday, TechNews will not be published on Monday, Feb. 15. Publication will resume Wednesday, Feb. 17. With the semiconductor industry about to abandon its pursuit of Moore's Law, March will witness the issuance of an industry roadmap outlining research and development that starts with applications and works its way down to chips, instead of the other way around. "Everyone is struggling with what the roadmap actually means," says Daniel Reed, vice president for research and economic development at the University of Iowa. Among the factors bringing Moore's Law increasingly closer to becoming unworkable is the heat generated as more and more silicon circuitry is packed into the same small volume. A second, less-expected factor is the growing mobility of computing and the migration of mobile applications and data to the cloud. "The old market was that you would make a few different things, but sell a whole lot of them," Reed notes. "The new market is that you have to make a lot of things, but sell a few hundred thousand apiece--so it had better be really cheap to design and fab them." Third Millennium Test Solutions president Bill Bottoms says it is a challenge to get separately manufactured technologies to work together smoothly in a single device. One solution suggested by a University of California, Berkeley scientist is to create new devices by integrating large chunks of existing circuitry with known functionality. The U.S. National Highway Traffic Safety Administration (NHTSA) has granted a Google request that the artificial-intelligence (AI) system behind its self-driving vehicles be considered the "driver" of the vehicle under federal automobile safety laws. The decision changes the definition of "driver," which has been in place for more than 100 years. Google is one of several companies working on delivering fully autonomous vehicles over the next few years, but they are struggling with how to get the vehicles to comply with federal and state automobile safety requirements. In November 2015, Chris Urmson, director of Google's self-driving car project, sent a letter to NHTSA asking how the agency would interpret certain provisions in the Federal Motor Vehicle Safety Standards within the context of self-driving vehicles. The biggest question Google had was how it could certify its Self-Driving System (SDS) AI technology to meet federal motor vehicle safety standards. Google asked that SDS be considered a "driver" under federal law because having controls that would enable a human to interact with the vehicle's operations would be detrimental to safety. "Even if it were possible for a human occupant to determine the location of Google's steering control system, and sit immediately behind it, that human occupant would not be capable of actually driving the vehicle as described by Google," NHTSA determined. Local regulations to restrict encryption technology would have no effect considering the technology's international nature, according to a study led by Bruce Schneier, a fellow at Harvard University's Berkman Center for Internet and Society. Schneier says if the U.S. restricts the export of encryption technology or mandates back doors, customers and criminals alike could look overseas for other vendors. "The cat is out of the bag," he says. "It is an international world. All the research is international and has been for decades. All the conferences are international and have been for decades." The study examined 546 encryption products in 54 countries outside of the U.S., out of a total of 865 software and hardware products. Schneier notes although U.S. security vendors may have a greater market share, there is no indication their encryption technology is better than what is available elsewhere. "The standard encryption algorithm, AES, was developed by a team from Belgium," he notes. "Another standard, a hash function standard, was developed by an international team as well. It's not that Americans are worse--it's just a big world." Forty-four percent of the foreign encryption products studied were free, 56 percent were sold commercially, and 34 percent were open source. Intellectual Ventures Laboratory researchers have developed Autoscope, an automated microscope equipped with artificial intelligence that is 90-percent accurate and specific at detecting malaria parasites. The researchers tested the Autoscope in the field at the Shoklo Malaria Research Unit on the Thailand-Myanmar border during malaria season in December 2014 and January 2015. The researchers trained the Autoscope's deep-learning software on 120 slides from collections around the world, both with and without malaria. The software uses visual features such as shape, color, and texture to calculate the probability a given object is a malaria parasite. The software was able to classify 170 samples during the field testing in Thailand. "It could have broad applicability, not only in research and surveillance of antimalarial drug resistance but also in clinical practice," says the WorldWide Antimalarial Resistance Network's Mehul Dhorda. The microscopy currently used to quantify the parasites requires well-trained microscopists, which are in short supply in many malaria-prone areas. "We're not as good as the very best humans, but we're certainly better than almost all microscopists in the field," based on the World Health Organization's standards, says Intellectual Ventures Laboratory researcher Charles Delahunt. The Autoscope system was built with support from Bill and Melinda Gates through the Global Good Fund. University of Pennsylvania professor Michael Kearns has developed an algorithm that can use the structure of social networks to target specific individuals or groups, without compromising the privacy of people who are not involved. Although the algorithm could have a variety of applications, Kearns is focused on its potential for counter-terrorism. "It's an algorithm to use the social network to guide the search for some targeted subpopulation, which in the case of the [U.S. National Security Agency] you can think of as some group of terrorists or other bad actors," Kearns says. He notes the algorithm could be the only solution developed to date that finds a compromise between national security and personal privacy. "Our paper is showing that in a natural setting, there are scenarios where there is a middle ground--where you can say to one part of the population, 'We are going to protect your privacy, even while we still need to find people with this other property,'" Kearns says. The algorithm is based on the fact that the government has a massive amount of cellphone and other social data that links people together in an intricate social network. It uses this data and some information about known criminals to track connections that other individuals have had with these targets in order to find other likely criminals. Researchers at the A*STAR Institute of High Performance Computing have shown that by adaptively redistributing computational resources in real time according to workload, they can overcome the "slowest link" limitation, a phenomenon in which the overall speed of a simulation is limited by the slowest link. "The entire simulation execution is held back by the slowest components, while faster components risk wasting time and resources on overoptimistic execution and execution rollbacks," says A*STAR researcher Zengxiang Li. The researchers say their approach could dramatically improve the speed and efficiency of simulations conducted in cloud simulations. The researchers improved the efficiency of such simulations by developing Adaptive Resource Provisioning Mechanism in Virtual Execution Environments (ArmVee), a resource-conducting scheme. ArmVee sits transparently as middleware in the simulation environment to monitor workloads and task-completion speeds on each node in real time. ArmVee then dynamically reallocates resources to speed up the slowest links. The researchers use a self-adaptive auto-regressive-moving-average model to capture the relationship between simulation performance and resources, which enables ArmVee to predict the dynamically changing simulation workload and to align execution speeds of simulation components proactively so each advances in simulation time with comparable speed. The researchers note ArmVee can be used transparently in standard simulation architectures without any simulation recording or interruption, which makes it ready for implementation in standard parallel and distributed simulations. The University of California, Los Angeles (UCLA) on Wednesday released its Phase Stretch Transform algorithm as open source. The physics-inspired computational approach to processing images and information can help computers "see" features of objects that are not visible using standard imaging techniques. The algorithm, developed by a team of researchers led by UCLA professor Bahram Jalali and researcher Mohammad Asghari, works by performing a mathematical operation that identifies objects' edges and then detects and extracts their features. In addition, the algorithm can enhance images and recognize objects' textures. The Phase Stretch Transform algorithm is based on previous UCLA research on a technique called photonic time stretch, which has been used for ultrafast imaging and detecting cancer cells in blood. By open-sourcing its code, the researchers hope to encourage others to incorporate the technology into computer-vision, pattern-recognition, and other image-processing applications. The algorithm could be used for face, fingerprint, and iris recognition for high-tech security, as well as in navigation systems in self-driving cars or industrial product inspection. University of California, Riverside (UCR) researchers say they have developed a more computationally efficient way to process data from global positioning systems (GPS), making it possible to pinpoint locations down to a few centimeters. The new technique will enable users to access centimeter-level accuracy location data with mobile phones and wearable technologies, without increasing the demand for processing power. The approach involves reformulating a series of equations that are used to determine a GPS receiver's position, resulting in reduced computational effort being required to attain centimeter accuracy. The researchers combined GPS measurements with data from an inertial measurement unit (IMU) through an internal navigation system. In the combined system, the GPS provides data to achieve high accuracy, while the IMU provides data to achieve high sample rates and high bandwidth continuously. "Achieving this level of accuracy with computational loads that are suitable for real-time applications on low-power processors will not only advance the capabilities of highly specialized navigation systems, like those used in driverless cars and precision agriculture, but it will also improve location services accessed through mobile phones and other personal devices, without increasing their cost," says UCR professor Jay Farrell. Stanford University researchers have launched the Project on Law, Order, & Algorithms, an open database of 100 million traffic stops from cities and towns across the U.S. The researchers say they already have collected data on about 50 million stops from 11 states, recording basic facts about the stop plus any available demographic data that does not reveal an individual's identity. The goal of the project is to produce a statistical method to assess whether police discriminate against people on the basis of race, ethnicity, age, or gender and, if so, how frequently and under what circumstances. The project also aims to help law enforcement agencies design practices that are more equitable and effective at reducing crime. The researchers plan to use the database to create a software toolkit that others could use to acquire data from municipal or county governments and perform similar analyses. "Technically, much of this is already public data, but it's often not easily accessible, and even when the data are available, there hasn't been much analysis," says Stanford professor Sharad Goel. For example, the researchers examined 760,000 instances of New York City's "stop-and-frisk" policy in which people were stopped on suspicion of holding an illegal weapon, and found African Americans who had been stopped were significantly less likely to have a weapon than whites who had been stopped. Student teams from the Massachusetts Institute of Technology's (MIT) Computer Science & Artificial Intelligence Laboratory (CSAIL) and the University of Cambridge on March 4-5 will collaborate in a special multi-day hackathon at MIT called Cambridge 2 Cambridge (C2C). The hackathon was first announced by U.S. President Barack Obama and U.K. Prime Minister David Cameron last year as part of a series of U.S./U.K. initiatives aimed at combating global cyberattacks. The two-part competition includes a 24-hour "Capture the Flag"-style hackathon with teams consisting of both MIT CSAIL and Cambridge students, and a "Shark Tank"-style business plan competition in which alumni and student-led companies pitch their technologies to a panel of industry judges. The winning teams will be awarded cash prizes totaling more than $70,000. Hackathon participants will develop and apply attacks and defenses for ongoing challenges in cybersecurity. The teams will compete in a graduated set of exercises focusing on topics such as Web security, reverse engineering, cryptography, and forensics. "We're very excited to partner with the University of Cambridge on this initiative, which we hope will be the first of many efforts to foster more international collaboration on cybersecurity," says MIT CSAIL's Howard Shrobe. Holger Schnadelbach at the University of Nottingham's School of Computer Science has developed a crowdsourcing website dubbed Adaptive Architecture Framework (AAF) to provide a categorized overview of building adaptations and their causes. The software tool is now live and Schnadelbach wants others to contribute their ideas to complete the picture. "The AAF allows people to explore connections and examples across the emerging field of adaptive architecture," he says. "When logged in, people can contribute to the crowdsourcing of the information map, changing, adding, and re-publishing information." Schnadelbach says adaptive architecture is not about the function of buildings, but about how buildings react to the people who use them. He is examining the link between modern sensing and actuation to find out how people can adapt to buildings effectively, such as by managing internal climates, spatial adaptations, soundscapes, and media, as well as connectivity to mobile devices and how buildings can "learn" through the use of computer and sensor technology. For example, "eco houses" are adaptive because they respond to the environment and inhabitants; Nottingham's Creative Energy Homes Project is an example of how this can be done. University of California, San Diego (UCSD) researchers say they have developed a pedestrian-detection system that performs in near-real time and with higher accuracy compared to conventional systems. The technology could be used in smart vehicles, robotics, and image and video search systems. The algorithm combines a traditional computer-vision classification architecture, known as cascade detection, with deep-learning models. The algorithm first quickly identifies and discards windows that it can easily recognize as not containing a person. The next stages process the windows that are harder for the algorithm to classify. Finally, the algorithm distinguishes between pedestrians and very similar objects. Although the method is fast, it is not powerful enough when it reaches the final stages because the weak learners used in all the previous stages are identical. The researchers addressed this problem by developing a new algorithm that incorporates deep-learning models in the final stages of a cascaded detector. The new cascade architecture combines classifiers from different families--simple classifiers in the early stages and complex classifiers in the later stages. "The results we're obtaining with this new algorithm are substantially better for real-time, accurate pedestrian detection," says UCSD professor Nuno Vasconcelos. Although the algorithm currently only works for binary detection tasks, the researchers aim to extend the cascade technology to simultaneously detect many objects. In an interview, Google vice president and past ACM president Vint Cerf discusses the Internet's transformation over the years. He says the influx of content on the Web and the massive level of interest among people to share their knowledge online is the most surprising phenomenon he has witnessed. "I can get lost...in the sheer wealth of all the information, and clicking on links to go deeper and deeper," Cerf notes. Among the developments that excite him are the possibilities of remote medicine, diagnosis, and education, along with videoconferencing and the Internet's casual availability. Issues Cerf is concerned about include the brittleness of the Web's infrastructure and its exploitation by wrongdoers, as well as the challenge of upholding privacy in the Internet age. He also is concerned about the growing reliance on the cloud to the degree that all of the data people are creating will disappear one day, leading to a "Digital Dark Age." Cerf says those who will come of age in the Internet era must be taught critical thinking, because "the Internet confronts them with all kinds of potential sources of misinformation and inaccuracies." He also thinks coding should be taught in schools, "because [children] should learn the discipline so they can understand how to break things into logical pieces."